Learn how to prepare and cook fish Japanese style! 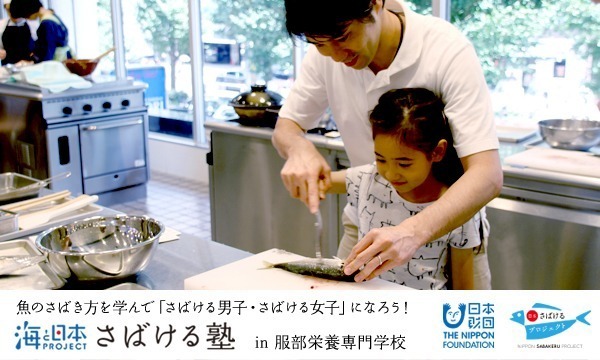 This is a chance for foreigners staying in Japan to learn about seafood-based Japanese cuisine. There will be an English translator so feel free to come by yourself. However, you may also bring a partner who can translate Japanese for you, (either an English speaking Japanese person, or a Japanese speaking foreigner is fine). This is a three hour cooking class to learn how to handle, filet, and prepare fish. This class is perfect if you've never filleted a fish before and would like to learn! The staff at Hattori Nutrition College will be assisting to make sure you get great hands-on cooking experience. ※ Please bring your own apron. ※ Participants must be ten years of age or older to handle knives. ・Only 20 people can participate in this event. Registration will end once we reach max capacity. ・If you apply to attend the event with one other person, please write their age in the "Notes" column. ※ Preparation will vary depending on the participant's age. ・We accept credit cards or you can pay with cash the day of the event. ・If you need a receipt, please ask at the event. Nishizawa Tatsuo (Teacher of Japanese Cuisine at Hattori Technical School of Nutrition) has been interested in food since he was young, so he entered the Hattori Technical School of Nutrition. After learning how amazing Japanese food was and graduating, he trained for 12 years at the famous Japanese restaurant "Kitcho." He is currently in charge of teaching Japanese cuisine at Hattori Technical School of Nutrition. He was also in charge of food direction for the NHK morning TV serial drama "Amachan," and the informational show "Asaichi." Other than teaching students the wonders of Japanese food, he also works abroad to help the spread of Japanese cuisine. 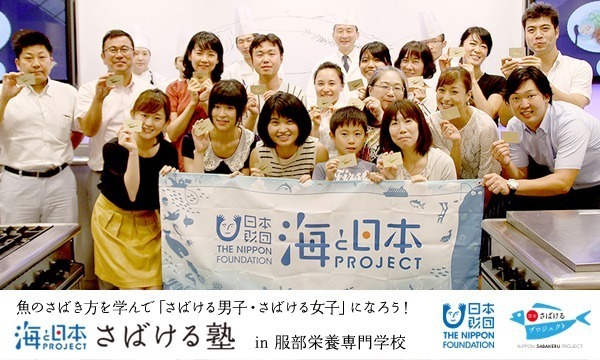 This event is promoted by the Japan Foundation and is one of many events for the Sea and Japan Project. You can find informational all about "Nippon Sabakeru Project" events here. Find videos all about how to fillet fish on our Youtube channel.